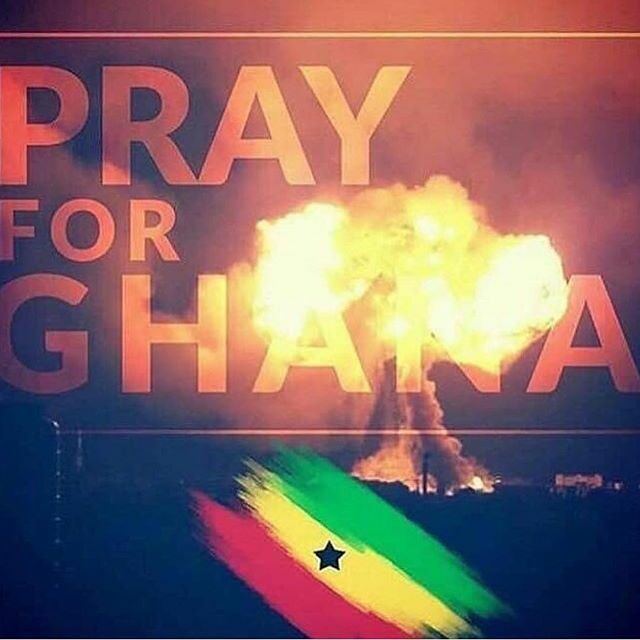 A gas filling station at Atomic Junction in Accra, Ghana exploded on Saturday. Residents were thrown into a state of pandemonium following the piercing sound of the explosion as well as the giant scary fireball that was formed in the sky. At least seven people have been confirmed dead with dozens injured in the explosion. Two of the deceased is said to have been knocked down by speeding vehicles during the chaos. More than 20 vehicles are also reported to have been razed down by the explosion. 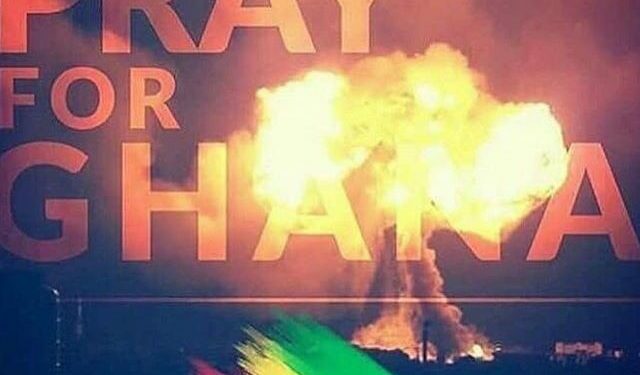 The explosion led to stampede and power outage in parts of the University of Ghana. Many of the injured persons were sent to the 37 Military Hospital and Legon Hospital for treatment. Four of the injured persons are said to be in life-threatening conditions at the 37 Military Hospital. Two fuel stations, including a gas refill station at the Madina Junction, caught fire leading to the destruction of several properties and loss of lives. The fire was said to have started at about 7 p.m at Mansco gas station on Saturday night and lasted for many hours with multiple explosions. It is still unclear and unrevealed, what caused the fire.